"This is an extremely popular summertime dish in Bulgaria. It serves as a replacement for salad or appetizers. 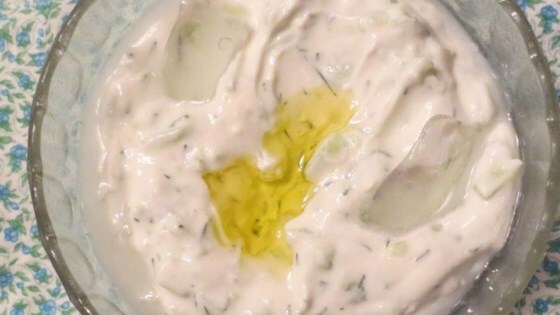 It tastes similar to tzatziki, so it's a very bright-flavored, cooling, and refreshing dish!" Balkan-style yogurt is best. Optionally, a few tablespoons of crushed walnuts or toasted almond slices may be added as a garnish or on the side. You can add crushed walnuts on top :). Very tasty! Making it the night before lets the flavors mingle longer, and it frees up time!